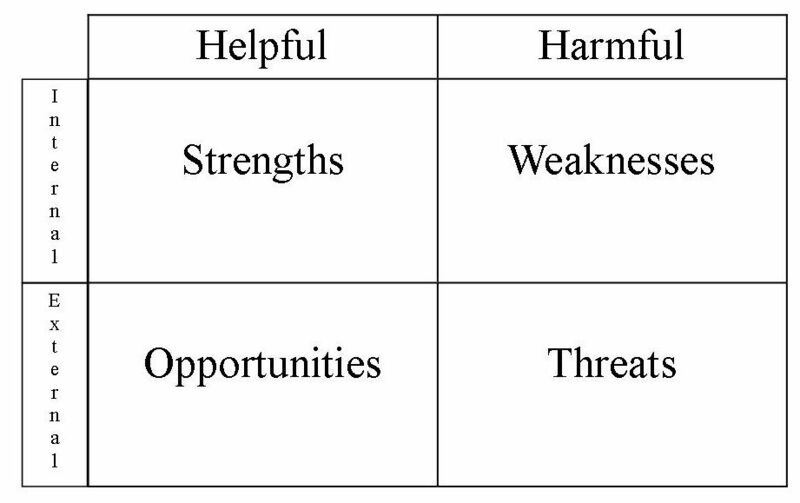 In preparation for teaching at the Pepperdine Lectures in May Charles Kiser introduced Eric Brown and I to SWOT Analysis. I have been a fan ever since. Here is a diagram that will help you wrap your mind around it. This framework helps you identify what internal and external resources and liabilities and organization. This can be used to map out what is going on with an organization as a whole, a given project within an organization, a ministry, etc. You can take this matrix, have multiple people who are working on the same project or part of the same organization work through it, putting in each quadrant what they think belongs and then having a group discussion over the results. This can be a helpful way to bring clarity to some big decisions. We used this to help churches/ministers conceptualize what is going on with their young adults but this could just as easily be applied by a church staff or eldership with any aspect of the congregation they shepherd.